Toshiba Satellite C55D-C 15.6" Business Laptop AMD A8-7410 QC 16GB RAM, 1TB HDD. Note : Images are only for illustration purposes only. Please refer to technical specs for exact model and details. Available in White colour. The Satellite C55D-C is a laptop thats been built for dependable everyday use, but that doesnt mean to say it compromises on looks. Sleek and remarkably elegant in design, the laptop looks great in any environment. With a stylish finish with hairline pattern available in White the Satellite C55D-C is eye-catching for the right reasons. Plus, its frameless tile keyboard design means that it feels as good as it looks too. 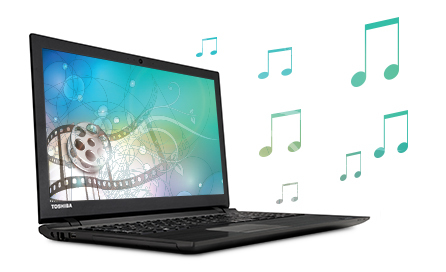 With a choice of AMD processor, the Satellite C55D-C delivers impressive responsiveness. Operation speed is further enhanced, which allows you to boot-up and access your applications in seconds - whether you're getting work done or relaxing. Theres also internal graphics to comfortably handle all of your daily activities. A host of innovative features ensure that the Satellite C55D-C is easy to use and well connected. For instance, the new touchpad with palm-rejection technology reduces annoying mistakes when using the keyboard. Plus theres a wide range of ports including USB 2.0 and USB 3.0 ports, an HDMI port, and a multi-card reader supporting fast UHS-I standard. 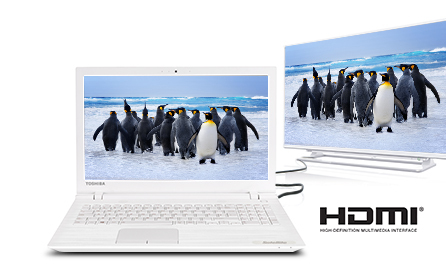 The Satellite C55D-C is even available with or without an Optical Disc Drive (ODD). All Satellite C55-C ODDs are M-DISC ready too - so you can upload all your digital memories to a long-lasting disc, and save them forever.